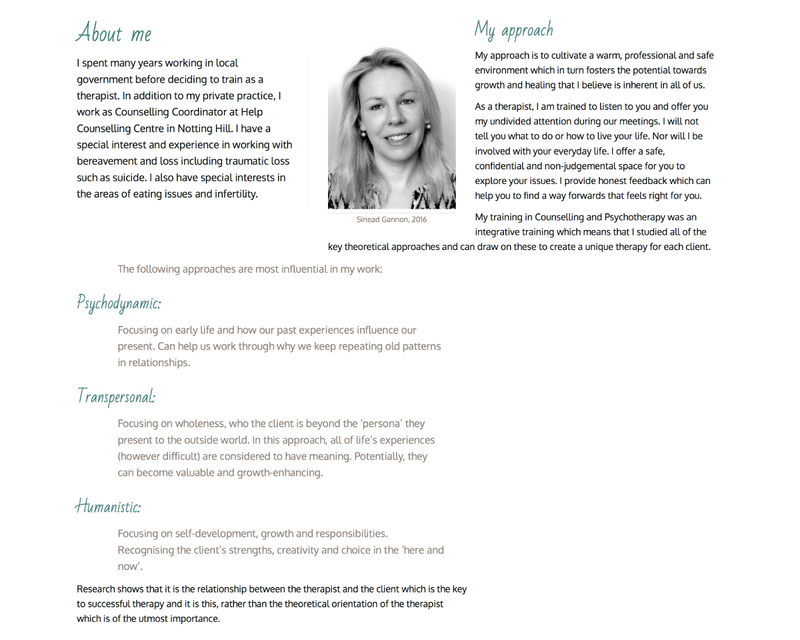 Offering one-to-one therapy and counselling, Sinead envisaged a light and minimal design to promote her new services. She asked for an illustration of facing chairs as feature image for her new setup to be created as basis for the site. Sinead was quite clear about her wishes in regards to the design and feel of her site. We were to create a very minimal site, with a personal touch. Clarity and reassurance were to guide the presentation of the information shown. The chair illustration was to feature in the site’s header, expressing her key phrases of space, support and clarity. what will express the intended feeling during counselling conversation best? Prisca and her team were brilliant to work with when I wanted to create my first website. From our 1st meeting, right through to going live I found the whole service highly professional, efficient, creative, and client focused. 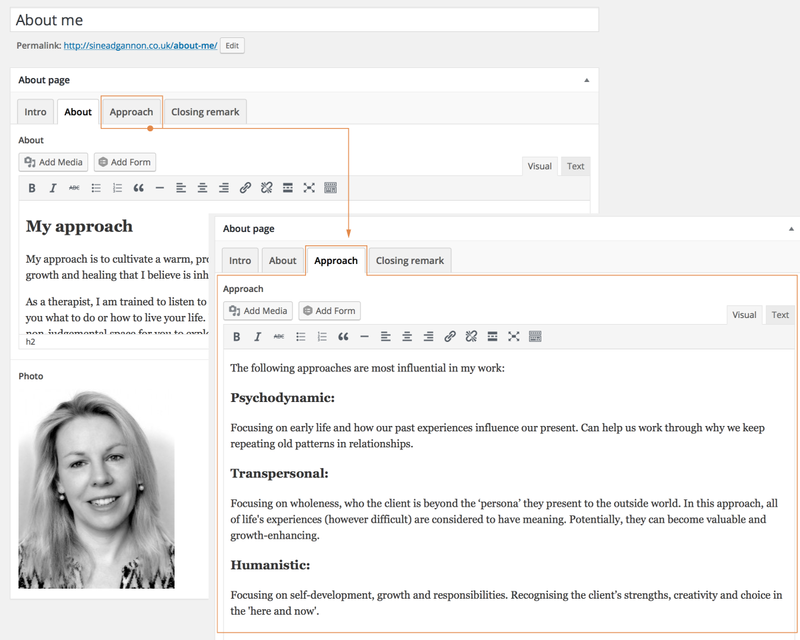 As someone with no experience of creating a website I felt like I was in very capable hands. I was given many different options and Prisca was very patient with my seemingly endless changes! I am delighted with my new website and would highly recommend Eyedea Studio.